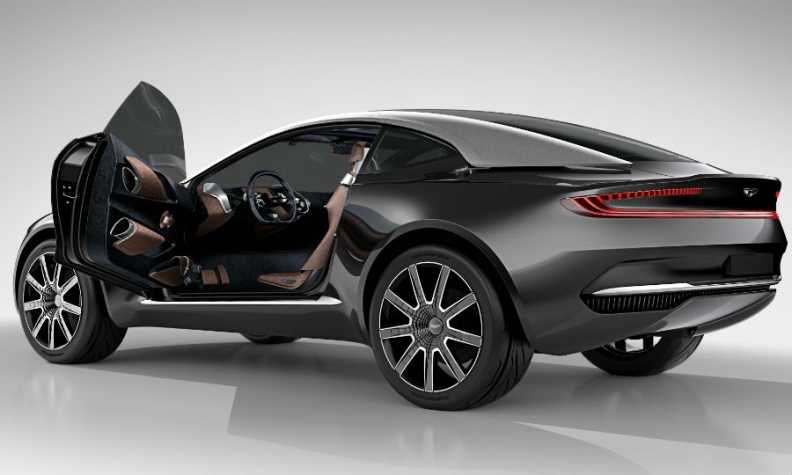 Aston Martin will base its new crossover on the DBX Concept, pictured, unveiled at the 2015 Geneva auto show. LONDON -- Aston Martin has picked a UK location for a new factory to build its DBX crossover ahead of sites it had considered in the U.S. and continental Europe. The British automaker said in a statement Tuesday that it will begin construction of the plant in Wales in 2017 with DBX production starting in 2020. The U.S. state of Alabama, along with two UK sites and a Middle Eastern location, had been on Aston’s shortlist for the factory. The company has chosen a former airfield in St Athan in Glamorgan, South Wales. The location is 210km (130 miles) from its headquarters and sole production site in Gaydon, central England. British Prime Minister David Cameron said in a statement that Aston's decision to pick a UK location "shows real confidence in the British economy." The head of the Welsh government, Carwyn Jones, said Wales had faced "fierce competition" from other potential sites around the world. Aston Martin CEO Andy Palmer said the company had done a detailed evaluation of over 20 potential global locations for the factory. He told the BBC that a June 23 referendum, when the UK will decide whether to remain in the European Union, had no bearing on the decision. "It was site-readiness, infrastructure, availability of skilled labor, the proactive nature of the government, Cardiff University, (and) the area has already got aerospace, defense and other industries," he said, without giving details about the government backing. Aston unveiled the DBX at last year’s Geneva auto show. The company plans annual production of up to 5,000 DBX models. Last October Palmer had said Alabama could was contender for the new plant because of Daimler’s Mercedes-Benz factory there. "It's an obvious choice when you take a complete platform from Daimler but that's not necessarily the only option that you have," he said at the time. Daimler has a 5 percent share in Aston. Aston will invest 200 million pounds ($281 million) in the Welsh factory and to upgrade its Gaydon plant. The investment in the two plants will create up to 1,000 new jobs by 2020. The company said it will start will production of the DB11, the replacement for its DB9 in Gaydon this autumn. It will expand the plant's output to 7,000 sports cars a year by 2020, including production of the RapidE, a battery powered version of its Rapid sedan, beginning in 2018. Aston has recently overhauled its plant in Gaydon in preparation for the new cars, increasing its bodyshop and trim area. Aston, whose owners include Italian private equity group Investindustrial and Kuwaiti group Tejara Capital, has not turned a profit since 2010. The company is expanding its product range in a bid to return to profit. The carmaker has suffered in recent years due to a costly recall in 2014, a slump in sales following the 2007-8 financial crisis and from not being part of a wider automotive group like many high-end rivals.